At Comcast, we are focused on reducing energy usage, and that extends to our customers and employees both inside and outside the home. 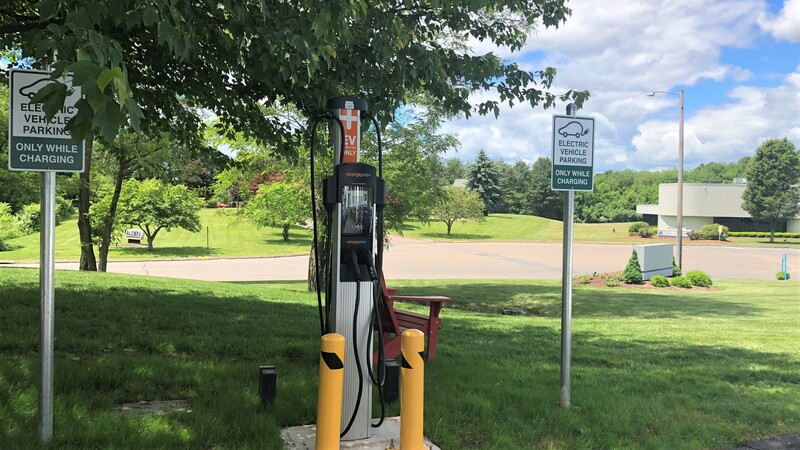 For local employees and those who visit our region headquarters in Connecticut, we have installed electric vehicle charging stations at our Berlin office. 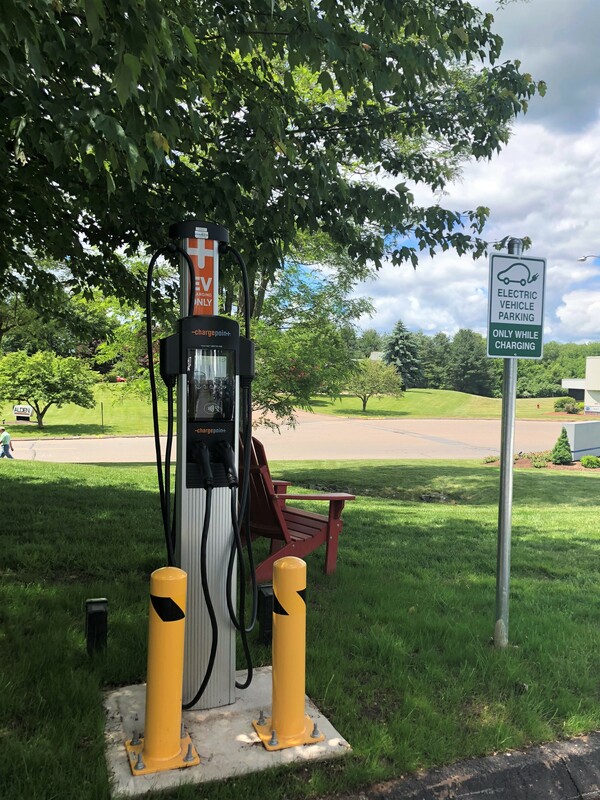 In New England, we also have similar charging stations at our offices in Chelmsford and Foxboro, MA. Other potential sites across New England are being evaluated. 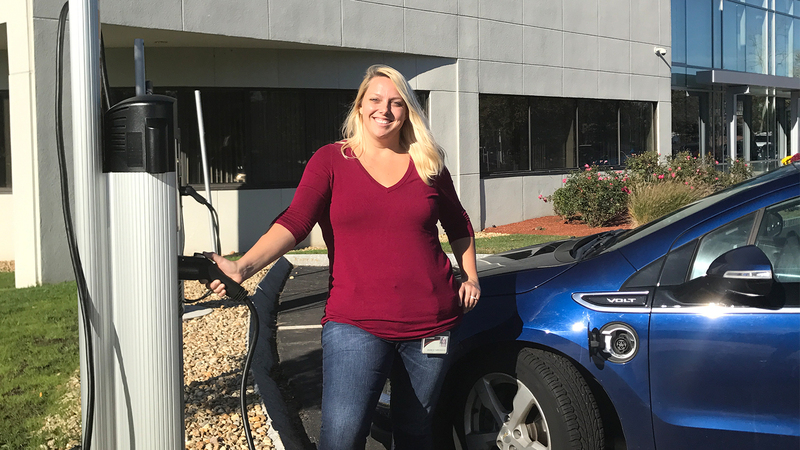 The electric vehicle charging stations are managed through ChargePoint, the world’s largest network of EV charging facilities. To use one, drivers simply download the app from the site, which allows them to plug in at our Berlin office – and connect to a network of more than 40,000 stations. As part of our focus to reduce energy usage, we also make it a priority to provide the most innovative services in the home and extend energy efficiency options to our customers. For example, our X1 customers can say “Go Green” into their voice remote and they will be brought to the settings menu to enable power saving mode. This mode will power down the device when it’s not in use, which helps customers reduce their energy consumption and save money on their utility bills. In addition, many of the set-top boxes that deliver our video services in customers’ homes are on the ENERGY STAR Set-Top Box Qualified Product List. Our interest in sustainability has increased the adoption of digital services like the Xfinity My Account app, which can eliminate an unnecessary technician visit, and EcoBill, which lets customers view and pay their bills online — from the My Account app or https://comca.st/2xOkgip. Opting to forgo a paper statement in the mail every month is a free, easy and secure way to be environmentally friendly. Comcast’s EcoBill program conserves more than 84 million sheets of paper and 137 million envelopes on an annual basis. In addition, in January 2015, we also installed an onsite fuel cell system at our Berlin, CT office, which was the first of its kind for Comcast nationwide and provides up to 100% of the facility’s total energy load while dramatically reducing the site’s carbon footprint. The system, which is quiet, clean and reliable, enables the Comcast facility to maintain service to customers even in the event of a grid power outage. Learn more about Comcast’s commitment to sustainability here.